Why Choose this Maryland Agency? Electronic Fingerprints on File - FBI approved! Verified Results Presented to you prior to hire! Considering Hiring a Nanny in Maryland? 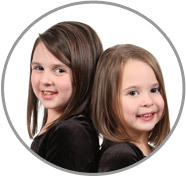 ABC Nanny Source has become such a widely known, popular agency in Maryland because we really consider each of our family’s specific unique needs and requests. We truly care for each individual family. We are confident that we can eliminate all of your concerns about hiring a Nanny. Our available candidates are highly sought after due to their experience and the fact that they have gone through our extensive 10 Step Screening Process. We provide service for families in Baltimore, Maryland and the surrounding areas. Finding the perfect Nanny to care for your children is made easy with the help and support of an ABC Placement Counselor. The first step is an in-depth personal consultation so that we can assess your needs and fully understand the unique requests for your particular situation. Second, your counselor will coordinate your exact wants and wishes and customize a description of the perfect Nanny for you. The final thing that your counselor will do is gather all of the information that you have provided and utilize it to create the ideal match between you and a Nanny, keeping in mind what is most important to you specifically. The “heart” of ABC Nanny Source is our team that specializes in providing you quality care minus all the worries! Your Placement Counselor will work side-by-side with you to assure that your Nanny will be the best suited in experience and personality for your unique needs. We accept only experienced, kind, and caring Nannies into our permanent database and have a very elite, qualified group of childcare professionals that we are very proud of! ABC Nanny Source holds firm on high standards and qualifications for our Nanny applicants being considered. Each candidate must have a valid driver’s license and a reliable vehicle to ensure they have transportation back and forth from the position, as well as for the children's many activities! Also, each of our Nannies that have been accepted into our database for families to consider have all been through our extensive 10 Step Screening Process, and possess prior experience. You can feel confident that all measures have been taken to ensure that your family’s safety is never jeopardized because we know how scary it can be inviting a newcomer into your home. At every moment, we take our screening process very seriously. As a company, we have been making a positive, memorable and enriching impact on numerous families’ lives for many years! To hear more about what our clients have to say regarding their experience with us, please visit our testimonials page and see why Baltimore families trust us with their childcare needs every day! If you are considering hiring a Maryland Nanny, please contact ABC Nanny Source!